This Perversion Urban Decay review includes products that were sent to me by a brand or company. Although this post is sponsored, all opinions are honest and are all my own. Please read my disclaimer. I’m always happy to try out new mascara’s. Why? Because I never-ever-ever use a lash curler, so I’m forever in search for mascara’s that not only offer volume/length but can also make and keep some curl during the day. Nobody wants sad lashes! The first thing that I notice immediately in terms of formula, is that the Perversion mascara is a creamy one. The formula is not too dry, but also not too wet. A decent formula is important for me. It’s the tie breaker if a mascara is going to be too wet or too dry to work with and if it’s going to give me clumpy, spidery lashes. But no – the Perversion mascara definitely delivers on the formula: long lashes and a clean volume! They remind me a bit of this one, but I feel like Perversion offers a bit more volume. 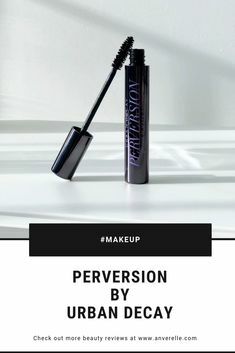 “Perversion Mascara contains Hairdensyl, a complex blend of proteins and amino acids—including marine glycogen, known to stimulate lash growth. Honey extract provides deep nourishment, sea idrolized elastine stimulates the hair follicle, and marine collagen protects. ” – Urban Decay website. According to the Urban Decay website, the Perversion mascara also helps stimulating the hair follicle of your lashes – aka it helps them grow. I haven’t used Perversion long enough to notice any permanent lengthening effects, but the fact it offers deep nourishment means your lashes stay soft, even after a few coats. However, after a second application throughout the day my lashes have turned just a tiny bit crispier but certainly nothing dramatic. 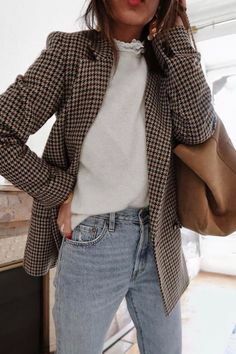 One or two coats is perfect for everyday, but you can build up. The brush catches every lash which results in a clean look. 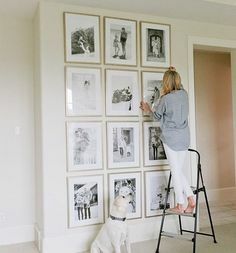 They don’t clump together. The only downside of this brush is because it’s fluffy, it’s a bit harder to reach the inner corners of my eye. If you feel like the brush applies too much product onto your lashes, just wipe the brush over the top of the tube. This way you won’t waste product and your brush will have less of the Perversion mascara to put on your lashes. But the formula is perfect for me personally – it glides so easily over your lashes!